Featuring very trendy and modern colours in traditional and patchwork designs. Experts of high-quality rugs appreciate the vintage-look, an antique looking style with washed-out elements. Vintage Wash features such designs but with a new modern spin which comes in the form or contemporary colour! The beautiful combination of stylish vintage patterns and fashionable colours is certain to tick many boxes for the potential rug buyer! 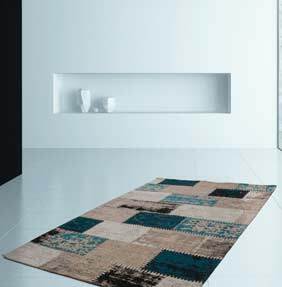 Being fabricated from 100% polyester chenille and with a flat-woven pile makes this rug collection very easy to clean and durable.